Definition: Diplopia, commonly known as ‘Double vision’ occurs when a person sees a double image where there should only be one. The two images can be side by side, on top of one another, or both. It is the simultaneous perception of two images of a single object that may be displaced horizontally, vertically, diagonally (i.e., both vertically and horizontally), or rotationally in relation to each other. Diplopia is a medical term for seeing two of a single object. 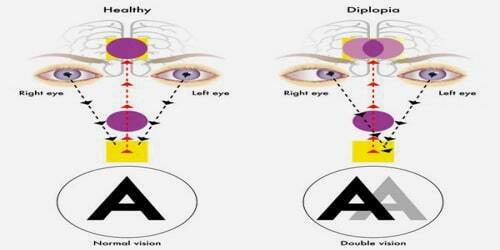 There are two types of diplopia: monocular and binocular. Monocular diplopia affects only one eye, and binocular is a problem with the alignment of both eyes. Here are some key points about double vision. Double vision, or diplopia, can result from a range of underlying conditions. Diplopia can affect just one eye or both. A childhood squint, or eye turn, can sometimes recur and cause double vision. Temporary double vision can be caused by alcohol or other recreational drugs. Treatments can include surgery, eye exercises, or corrective lenses. 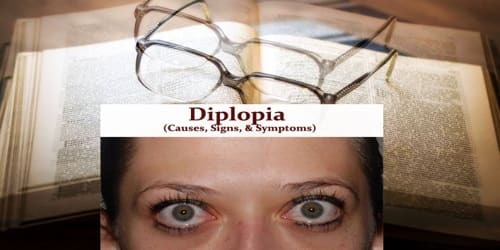 Causes, Signs, and Symptoms of Diplopia: There are dozens of causes of double vision, ranging from benign to life-threatening. Therefore, it is important for the doctor to carefully review the history and perform an examination to determine the cause and initiate appropriate treatment when necessary. Sometimes, emergency treatment is needed. Diplopia (or Double vision) occurs when the brain cannot combine the images from each of the eyes into a single image. This is usually because the images are not similar enough, because of problems with the muscles or nerves that control precisely where each eye is looking. There are two main types of double vision – binocular and monocular. Binocular diplopia: It is the most common type of double vision. It occurs when our eyes don’t align with each other as they normally would. 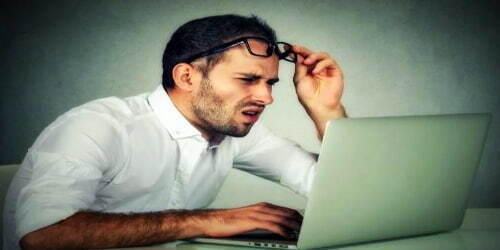 Binocular double vision is usually caused by a squint, but if it occurs suddenly, it could be a symptom of a much more serious medical condition. Diseases of the thyroid or arteries, along with diabetes, multiple sclerosis, stroke and a number of other serious conditions can cause double vision. Monocular diplopia: It is caused by a structural defect in the eye. In this case, the light from a single image is split in two because of a defect in the eye. Cataracts are a common cause of this type of double vision. If cataracts are present, they are easily correctable with minor surgery. Monocular diplopia can also be caused by astigmatism, corneal scars, and corneal shape problems. Double vision can sometimes be temporary. Alcohol intoxication, benzodiazepines, opioids, or certain medications for seizures and epilepsy sometimes cause this. Head injuries, such as concussions, can also cause temporary double vision. The double vision may be monocular (one or both eyes sees multiple images when tested individually) or binocular (double vision is seen only when both eyes are open, but each eye sees a single image when tested individually). Double vision can be constant or variable. For example, double vision that varies with blinking is often related to irregularities of the eye’s surface. Binocular diplopia may vary depending on the direction of gaze or with tilting or turning of the head. Fatigue may also contribute to variable double vision.